According to Hindu myth, Goa was originally created by the Parasurama, an incarnation of Vishnu, who after winning the war against the Kshatriya warrior caste, was granted the right to claim land where his Brahmin caste could live forever. For several hundred years, Hindu dynasties held power over Goa including the Satavahanas of Kolhapur (a city in one of modern Goa’s neighbouring states, Maharshtra) and the Chalukyas of Badami (in Karnataka, another one of modern Goa’s neighbours). In 1312 the Muslims took over but their reign was brief and was superseded by the Vijayanagar in 1370, who used Goa, with its natural harbours, as an important landing site for ships bringing Arabian horses for their cavalry. In 1524, the Portuguese captain Vasco da Gama landed in Goa. He was the first European to ever reach India via the Cape of Good Hope. More Portuguese arrived in 1510 looking to gain control of the spice root from the East and two years later Goa became a Portuguese colony. 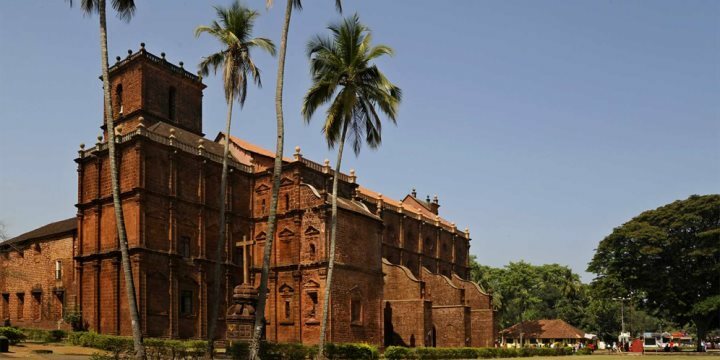 In 1542 the Jesuit missionaries followed, led by St Francis Xavier, whose preserved body now lies in the Basilica of Bom Jesus and every ten years it is placed on public display. It was not until 1961 that the Indian Army took control of Goa and the Portuguese finally left. The Goan’s, however did not want to be part of Maharshtra and eventually in 1987 Goa was officially declared as India’s 25th state. Today Goa may be India’s smallest state but it is also it’s richest with tourism, farming, fishing and, up until recently at least, iron-ore mining playing the most important roles in its economy. Want to experience Goa’s impressive heritage first hand? We’ve got a fantastic selection of history-based excursions and tours that you can embark on to explore Goa’s past, or why not create your own tailormade exotic escape?